The Ophthalmologist usually completes these tests prior to examination. 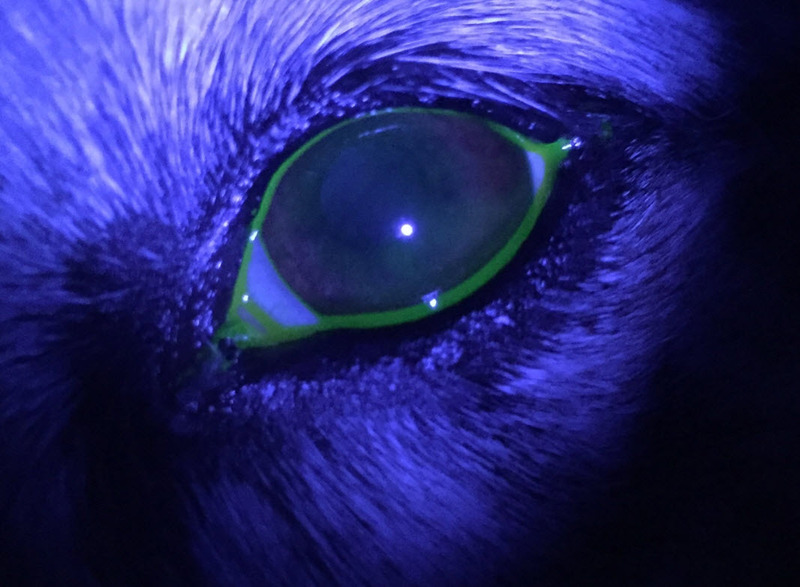 The most common diagnostic stain used is called Fluorescein. 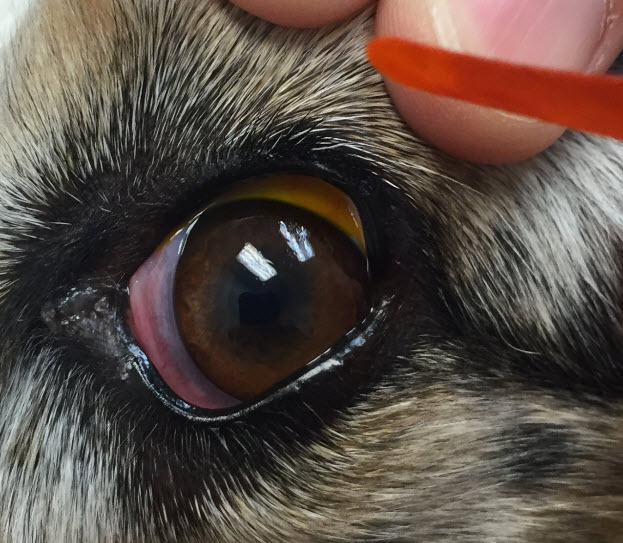 This stain allows the diagnosis of corneal ulcers and altered tear quality. Schirmer Tear Testing is used to determine the quantity of a pet's tears. Both tests are non invasive and not painful.